The park, sprawling for more than 133.3 hectares on the Mingfeng Mountain seven kilometers northeast of Kunming, is a national forest reserve. 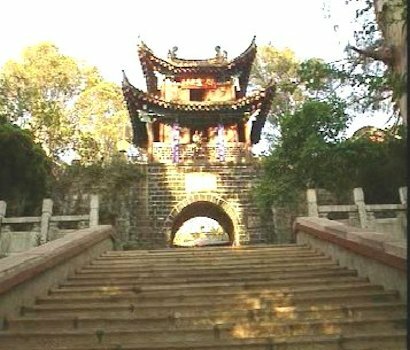 With a natural scenery mingled with sites of historical interest and man-made gardens, it is also a large scenic resort in Kunming. The '99 International Horticultural Exposition will take place there. It covers a total area of 218 hectares, and 76.7% of the site is vegetated.